A formula that cleans and conditions hair without stripping it. It does not include sulfonics, caustics, fragrances, builders or reagents. Facial products made with soy that contribute to fresher, softer and younger looking skin. All natural products. A cleanser made with soybeans to cleanse the skin and remove makeup and impurities without using dry soaps. It moisturizes while it cleanses to keep skin soft with no greasy feelings. A night cream made with soy designed to offer skin the nourishment it needs. It soothes and extracts, which helps to restore and maintain the appearance of healthy, youthful looking skin. A cleaner that safely removes organic soils including the toughest automotive lubricants without caustics or toxic solvents. It will not irritate skin and does not contain dye or fragrances. A luxurious bath bar that leaves skin feeling silky smooth and thoroughly clean without using harsh sulfonics or tallow that can clog pores. A lightweight moisturizer made with plant extracts that softens and soothes skin. A tingly-cool tonic that retexturizes skin. It is made with soy protein that protects and moisturizes to keep skin at proper pH. A vegetable based, triple milled bar soap that gently cleanses without drying skin. It pampers the body and leaves the skin feeling clean smooth and soft. A soap that moisturizes as it cleans. Contains a water soluble conditioner with added vitamin E and soy protein. A biobased foaming hand, hair and body wash formulated with ingredients made from renewable resources. A hand cleaner formulated with a soybean solvent base to remove heavy-duty soils safely and easily. A rehabilitating cream for aging skin that combats the visible effects of collagen breakdown and moisture loss. Soy isoflavones help to firm skin. A deodorant that is effective in controlling odor-causing bacteria. It is natural and biodegradable. A 100 percent fragrance free conditioner made with soy. It revitalizes the natural structure of hair while adding body and shine. It is extra gentle for sensitive hair and scalp. A smoothing body balm made with soybean oil. It nourishes and protects skin. A non-toxic hand cleaner that is all natural, non-flammable and biodegradable. It is great for tradesmen, mechanics, factory workers, farm workers, painters and plumbers. Glycerin combines with natural vitamins A and E in soy to promote healthy skin. Does not contain salt. Available in a variety of scent. An eye cream made with soy that is designed to protect the skin from the appearance of premature aging. It brightens, restores and renews the delicate skin around the eyes. A balm made with soy designed especially for men. It provides relief for dry skin and acts as a moisturizer. An aftershave for men that soothes, cools and relieves skin without stinging alcohols. It also contains all-natural moisturizers and skin soothers. Restores lost emollients, pliability and sheen to hair shafts. A naturally derived hand soap made primarily from natural resources. It is non-irritating and very gentle. A revolutionary, gentle, hydroxide-free treatment that relaxes coarse and resistant hair safely and effectively without the use of harsh chemicals. 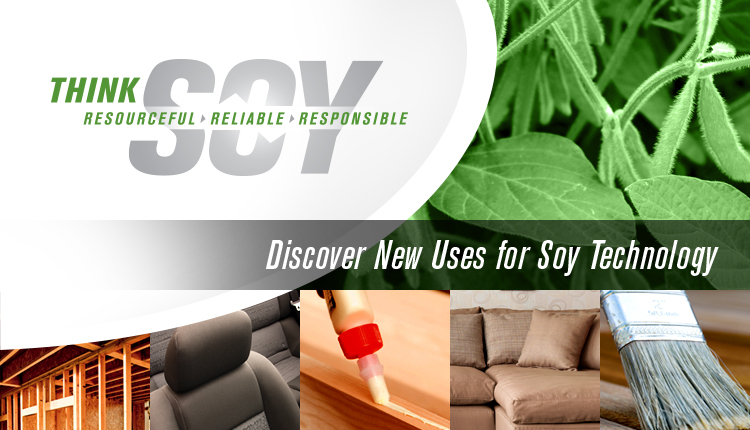 The egg and soy-based formula is odorless and does not contain lye. A cream that rejuvenates skin and nourishes aging and depleted skin cells. A daily moisturizer containing Active Naturals Total Soy Complex and natural light diffusers that help even skin tone while reducing the appearance of blotchiness and discoloration. The Active Naturals Total Soy Complex process retains the integrity of the soy protein to visibly transform dull, uneven skin into brighter more radiant skin. A hand cream that is rich in vitamins C and E, aloe vera, shea butter and jojoba. It soothes and softens hands. A cleaner made with 100 percent plant-based ingredients. It removes tough mechanic soils including lubricants and greases without caustic chemicals or abrasive additives. Formulated with all natural ingredients to prevent flaking and dryness. It contains soya protein that penetrates damaged hair. An extra gentle gel cleanser for all skin types that instantly whisks away everyday impurities and makeup. Hand an body lotion available in many scents. A moisturizing formula for all hair types fortified with protein-rich soy and stimulating ginseng root to nourish and improve texture. A soy-based nail treatment system. A nail lacquer remover and treatment made of soy that quickly removes all nail lacquers and delivers a high-powered blend of nutrients. A waterless hand cleaner and conditioner that is made from natural ingredients, including soy. A face cleanser that gently removes make-up, dirt and banishes bacteria without irritation. A soy-based formula that reduces blotchiness and discoloration. The soy properties in the moisturizer enhance the skin’s elasticity, controls oil production and helps reduce unwanted hair. Full of antioxidants.